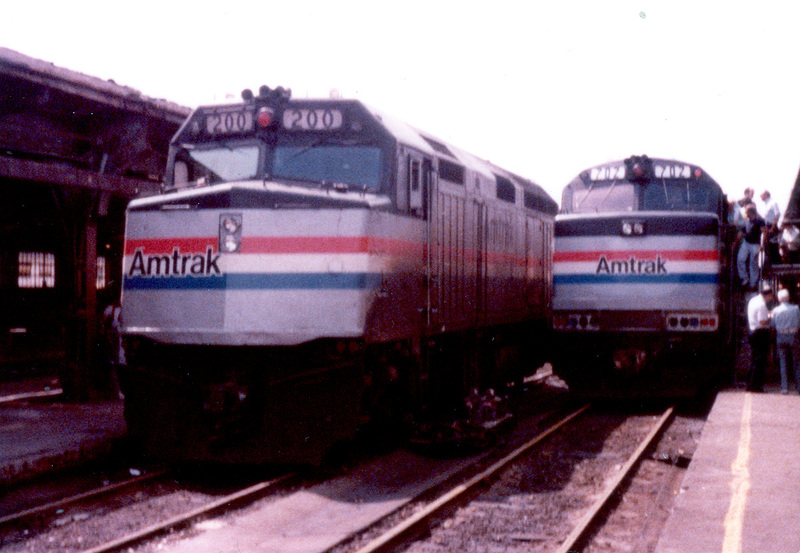 In 1980, Amtrak had been in existence for 9 years already, and the passenger railroad was finally making some progress in acquiring new equipment to replace the locomotives and cars it had inherited from its predecessor roads. To show off this new equipment and hopefully attract new customers, a number of “Family Days” events were held around the country. These featured equipment displays and other activities at the local train station. In Detroit, the event was scheduled for 2-3 August 1980 at Michigan Central Station. A small group of us from the Lenawee Area Railroaders heard about this and decided to go. The best way to go, of course, was by train, so we took the afternoon “Wolverine” on 03 August from Ann Arbor to Detroit, later returning on “The Twilight Limited”. This only gave us about 2.5 hours in Detroit, so we had to make the best of it! 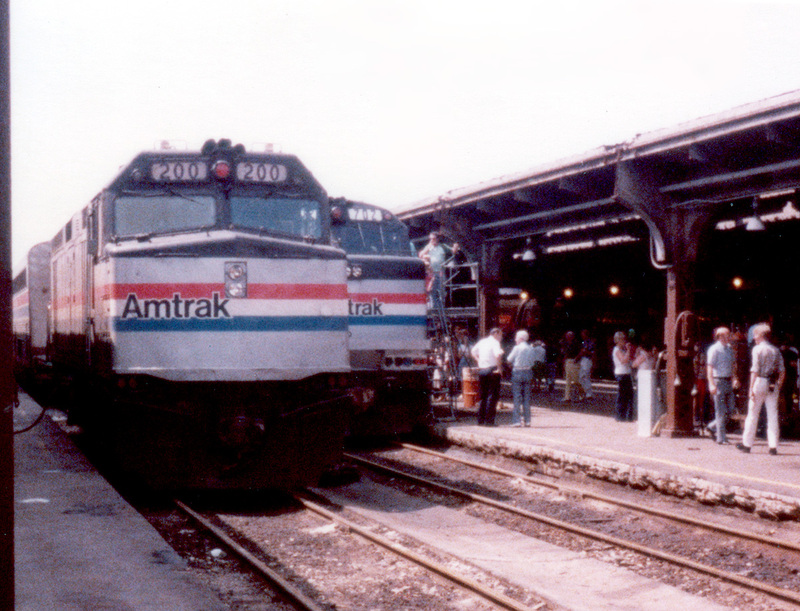 This date was also the start of a new timetable, and the inaugural date for Amtrak’s new “Lake Cities” service from Chicago to Detroit to Toledo. 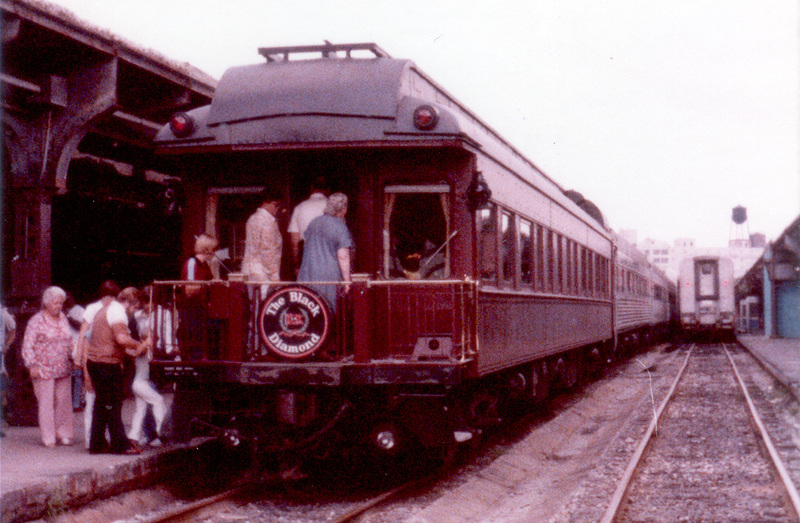 Ex-Lehigh Valley private car #353 was also on display and open for visitors. There were also some events taking place inside the station itself, but I don’t know if we even made it in there. An RTG Turboliner offered demonstration rides from MC station to Wayne Junction and back. There was a very long queue for this, and we didn’t have time to partake in any case. Having seen what there was to see, it was time to head home. I took a few pictures with my Kodak 110-format Instamatic camera. The quality was awful, but they are included below to see what there was to see that day. The first excursion of the Lenawee Area Railroads was a success! 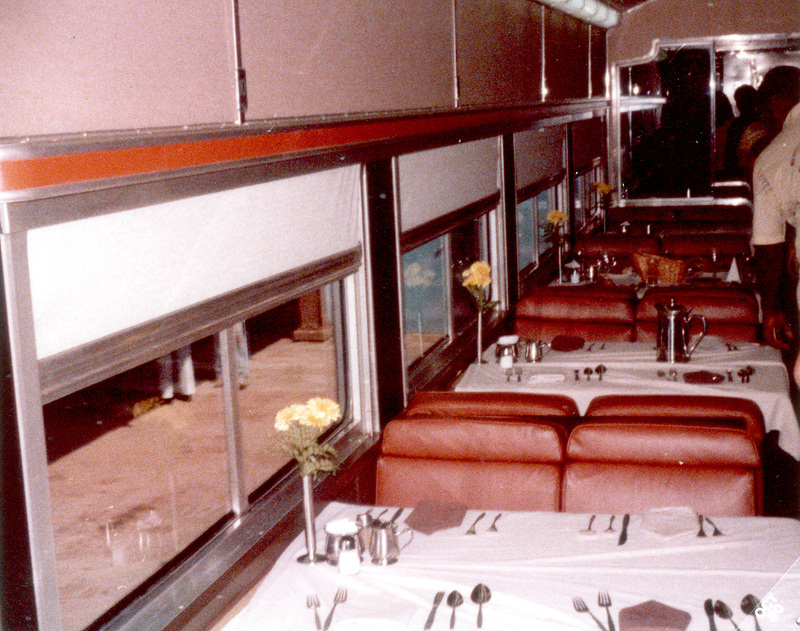 For more history on Amtrak’s “Family Days”, visit Amtrak’s history site. Detroit – Area Railroad History is a public Facebook group, dedicated to the history of railroads in southeastern Michigan and southwestern Ontario. We welcome historians (amateur or otherwise), modelers, railfans, railroaders, train people, transit advocates, preservationists, and others. All posts should have some connection with railroading in southeastern Michigan or southwestern Ontario, past or present. Discussion of regional electric interurban transit in the area is also welcome. No selling. All posts (at minimum) should be related to railroading (past, present, and future). All comments (and replies) to posts should relate to the post. Group posts, dealing with railroads operating in the Detroit area (past or present), including miniature and model railroads, are encouraged.